When I finished Titanfall 2's campaign, my body felt numb. I left my apartment, walked to the street corner and bummed a cigarette. I needed to calm myself. I'd just been through an astounding experience. 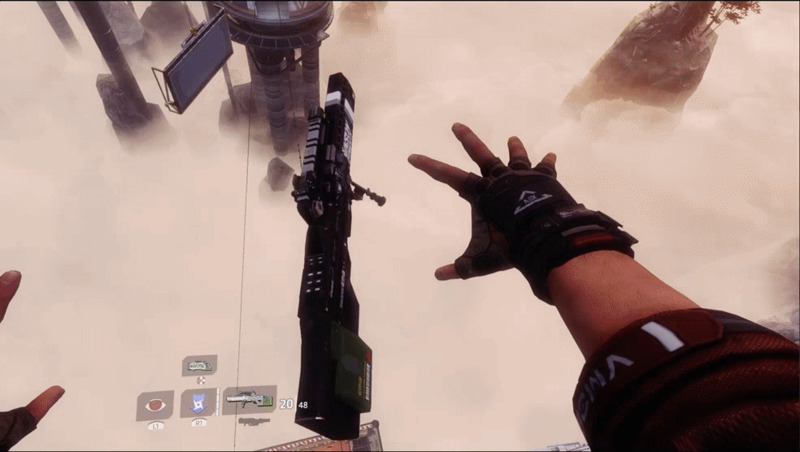 The original Titanfall was a game of overly high ambition. Fluid player movement led to frantic and gorgeous ground battles before giving way to massive fights between giant robots. Yet, this idea was half formed. A multiplayer only experience, it began to fracture as ill-thought DLC and general mismanagement lead to a partitioned community that could not sustain itself. Titanfall 2 delivers on previous ambitions and smashes forward to offer something remarkable. You might have come here for the multiplayer but the true standout is the single player campaign. At first, the campaign feels generic and unremarkable. It has a distinctive "Call of Duty with Robots!" vibe but eventually builds to an experience of magnificent scale and surprising emotion. Titanfall 2's campaign surpasses the likes of Advanced Warfare or Doom by allowing players to genuinely express themselves through raucous play. 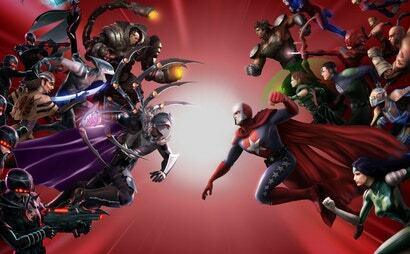 The controls are highly responsive, and the animations are breathtaking. A vast arsenal of weapons ensures each encounter is varied. The combat on foot is great, and the Titan vs Titan action has a similar ferocity. Missile salvos bombard terrain, massive swords slice through steel behemoths and chest lasers melt through fields of lesser mechs. Occasionally, Titanfall 2 gets too smart and complicated with these designs. More than a few times, I travelled long distances only to find that I'd looped around to where I started. In other instances, the game failed to communicate distances and pathways. I fell into plenty of pits because the game sometimes does a piss poor job conveying what is navigable and what is not. You can occasionally refer to holograms that show you suggested pathways but the action still ends up stymied from time to time. The glue that holds the story together is the relationship between your character, Cooper, and your independently intelligent mech suit, BT. Through interactive prompts, you, as Cooper, have conversations with BT. The dialog is a real treat. BT's literal mindset pairs well with Cooper's swaggering bravado. They make a great duo. 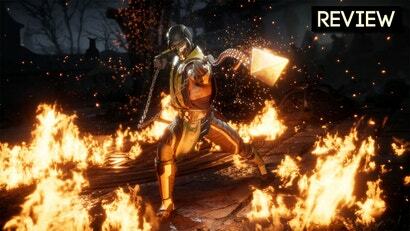 This is reflected in the gameplay as well. 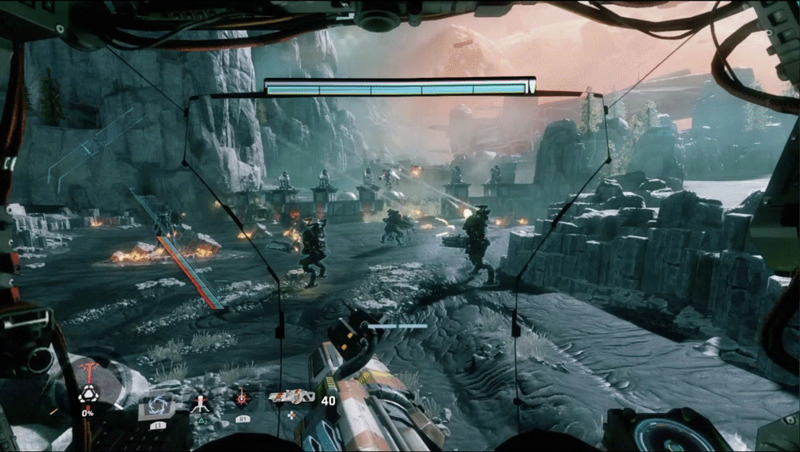 Switching between ground combat and fighting in your Titan is as easy as the push of a button. 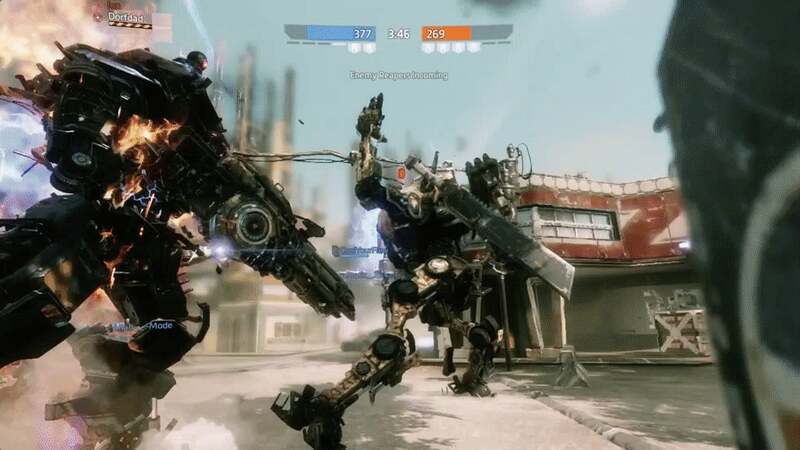 In more intense fights, you will rush across catwalks and dispose of ground troops before seamlessly leaping into BT's cockpit to blast dangerous robots and incoming Titans. You rely on BT, and BT relies on you. As the stakes get higher, this bond becomes stronger. Multiplayer is far less controlled and suffers for it. The team deathmatch variant Attrition lead to spectacular battles but a host of other modes are perfunctory or confusing. Capture the Flag puts excessive stress on pilot acrobatics, discouraging large scale Titan battles by resetting everyone's slow filling Titan gauge during intermission. Bounty Hunt is a convoluted mode that feels at odds with the core mechanics, asking players to leave the battle to deposit funds into designated receptacles in between all the fighting. 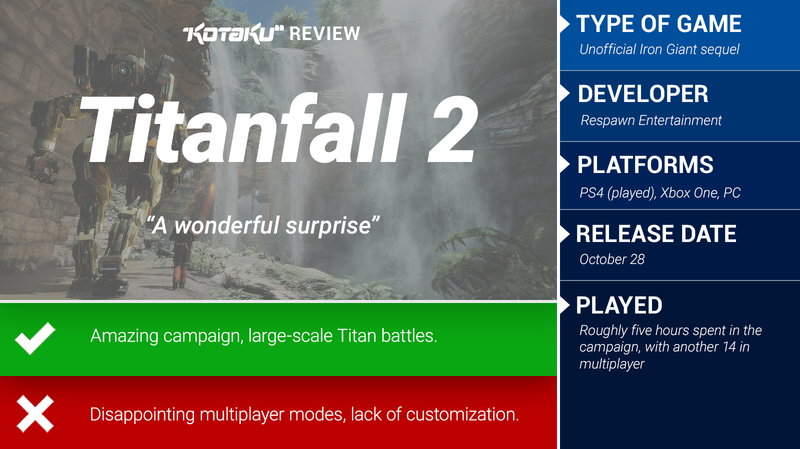 Modes like these fail to understand that Titanfall 2's multiplayer works best when forces clash in explosive Titan focused engagements with pilots at the periphery. Progression is swift but somewhat arcane. 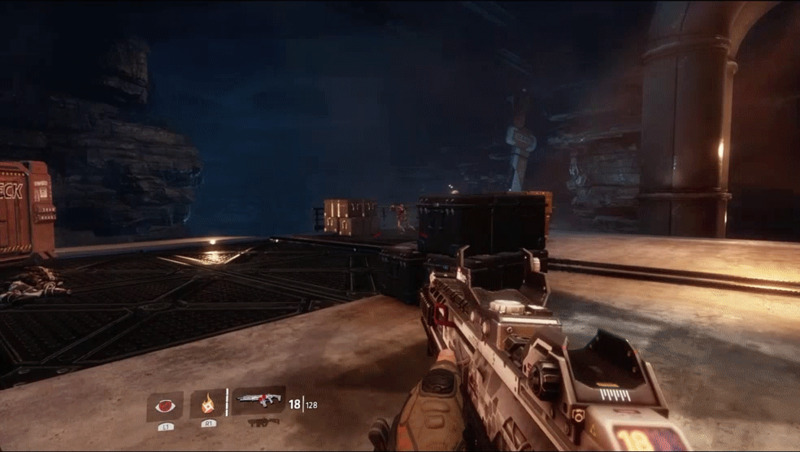 You have a player level, a Titan level and levels for your weapons. It's a lot of information to track and the game does a poor job communicating what it all means. This would be fine if there was more customisation but the game's priorities are in the wrong places. You can unlock plenty of guns for when you are outside of your Titan but customisations for your mech largely consist of dozens of paint options and decals. You don't get to build custom weapon load outs to personalise your play style in your Titan. You have to settle for prefab Titan variants. In spite of these missteps, the multiplayer takes the dynamism established by the single player and add a liberal amount of chaos. You'll swing across a building, shoot someone along the way, land on an enemy and drop a grenade into mech. These moments are sensational and emblematic of Titanfall 2's unique strengths. Sticking to more traditional gameplay modes creates an incredibly approachable and engaging experience. The pace is even faster in multiplayer. Maps will fill with grunts and smaller mechs. 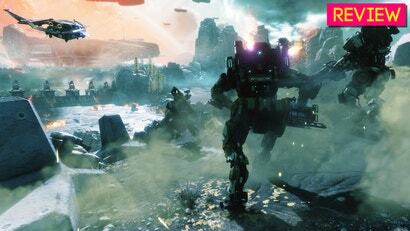 Titans exchange fire as pilots grapple and wall run, duking it out on the edge of the battle. There's always something happening, a new Titan to slay or a daring trickshot to pull off. As these moments build upon each other, Titanfall 2's multiplayer turns into a ballistic ballet full of explosions, executions and excitement. Titanfall 2 is one of the year's best games and a remarkably wonderful surprise. The campaign is revelatory. It is impeccably designed. The multiplayer might not reach the same heights but it still manages to offer a highly charged experience. Bold enthusiasm for a game often summons sceptics or contrarians. Pay them no heed. Titanfall 2 is impressive. Its influence will ripple through video games in the same way that titles like Half Life or Halo managed in their time. Beautiful and bold, Titanfall 2 is the pinnacle of first person shooters. 100% on the campaign. Played through it on hard and wouldn't suggest playing it on any level lower than that. Provides a decent amount of difficulty and was brilliant start to finish. Will be playing through it on the hardest difficulty next. Have to disagree on the multiplayer aspect though. Deathmatch is fun for over the top action but the other modes are also excellent as they change the game to become one of planning and strategy. Bounty for example (probably my favourite mode) makes you focus on killing AI for money but also trying to watch your back. A smart player will hunt other players, wait until they're distracted by a bounty then kill them and steal their money. Then when you have the bounty money you need to survive until the end of the round or you lose a big chunk of it. This makes the game extremely tense. Then when you go to return the money to the bank you think you're on the home stretch only to drop dead and lose it all 'cause an enemy soldier is camping the bank. It sounds like the multiplayer could use a little tweaking but this is otherwise a solid release. Hope I can finally spent a little time with the campaign tonight. You had me at "Vanquish". Such a slept on game, it was such a sleep hit. I borrowed it from a mate, then went out and bought it new. Not saying it's a bad game, it's just not Titanfall. How does it feel more like Call of Duty? It doesn't play like COD at all. Respawn fixed most of those issues in the second tech test. With the new mechanics in MP, Titanfall 2 appears to be more balanced and fun than Titanfall 1. I think people to learn that sometimes these developers do listen and they do know what they are doing. This. It plays so well during MP. Jumping into a game, I never thought once this felt like COD. Gameplay is so good and smooth, one of the best shooters IMO. Wall running, sliding and jumps are easily maneuvered and gives this extra element to the combats. It's sadly slow paced compared to 1. It feels more orientated to give the people who are winning, a bigger advantage. 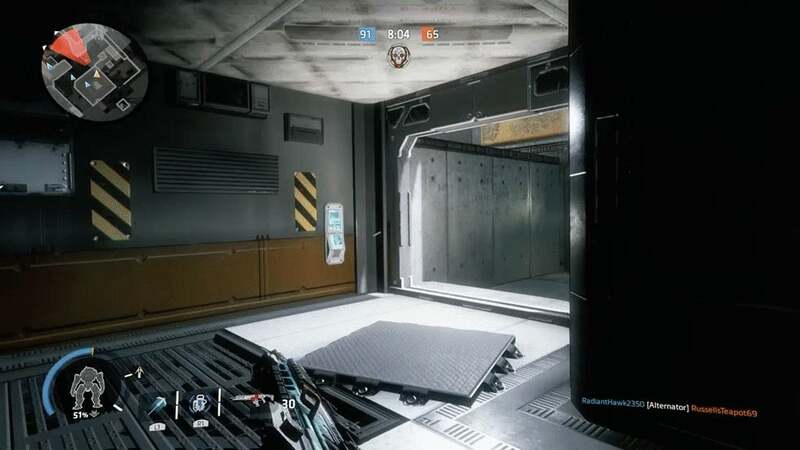 Titanfall 1 did reduce the timer for a titanfall for kills, but it wasn't that long of a wait, and having primary, secondary and ATT weaponry, as well as grenades made it much easier to defend yourself or pester enemies. 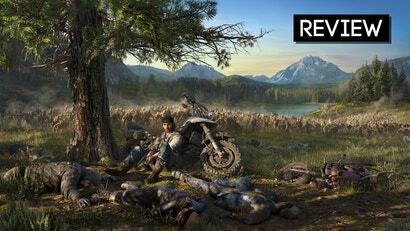 Good review, but I love the multiplayer as much as the excellent campaign. Bounty Hunt is so much damn fun. The campaign is so much fun, the relationship with BT and Cooper is done so well. It has a solid story. I was skeptical at first when you had to earn your Titan in MP but you hardly ever notice. I haven't touched the campaign yet because of too busy melee all those snipers and campers in MP. The game in its core is exactly what Titanfall 1 was with more balanced weapons and fun. Its like no weapon, titan or pilot is better or super powered. Very well balanced. This game is not meant to be played as campers, learn the mechanics and skills and you will have blast.